더니든, 뉴질랜드의 키위스 네스트 | 호스텔월드에서 예약하세요. Security deposit of 10% required on booking. 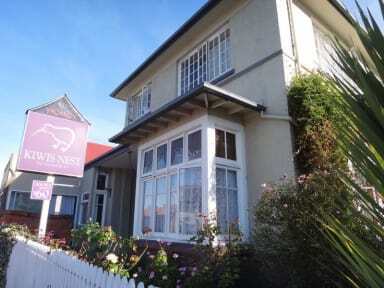 Kiwis Nest is a warm and friendly environment for your next stay in Dunedin. Kiwis Nest offers a wide variety of accommodation options and a friendly and welcoming staff to ensure your stay is a memorable one. Dorm room - Dorm rooms sleep from 4 to 6 comfortably in bunk beds. Toilets and showers are shared with other guests. Single room - Single rooms sleep one person and typically contain a single bed. Toilets and showers are shared with other guests. Single room with ensuite - Single room with ensuite contains a single bed, desk and fridge and has tea/coffee and HD TV. Double/ Twin rooms Double rooms sleep 2 comfortably Typically contain one queen size bed or two single beds. Toilets and showers are shared with other guests. 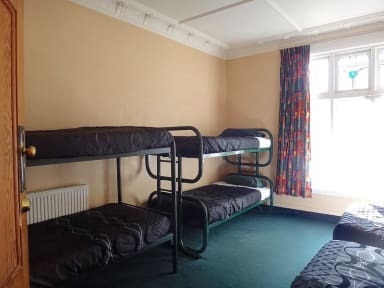 Double/twin room with ensuite - Double/twin rooms with ensuite contain a queen size bed or two single beds, TV, desk and fridge with tea and coffee making facilities.